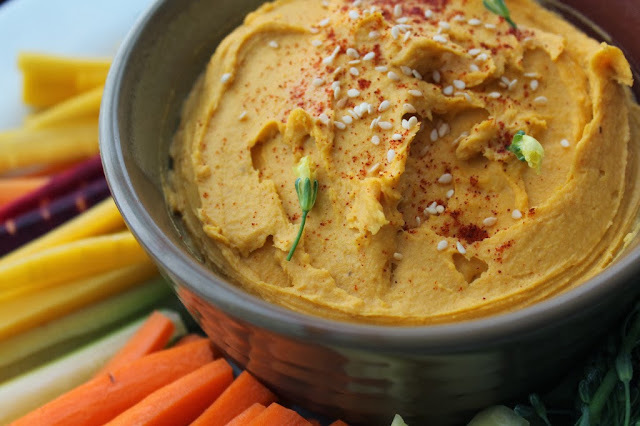 You might recall, we did a post this summer on homemade hummus - the Soiree girls are all about hummus (If you missed our summer post, you can read all about Kelsey's homemade hummus here) and believe it or not, we're still not sick of it! To celebrate the end of our wedding season, we enjoyed lunch at Cru on a crisp fall day. This was where we first had the inkling for fall hummus! 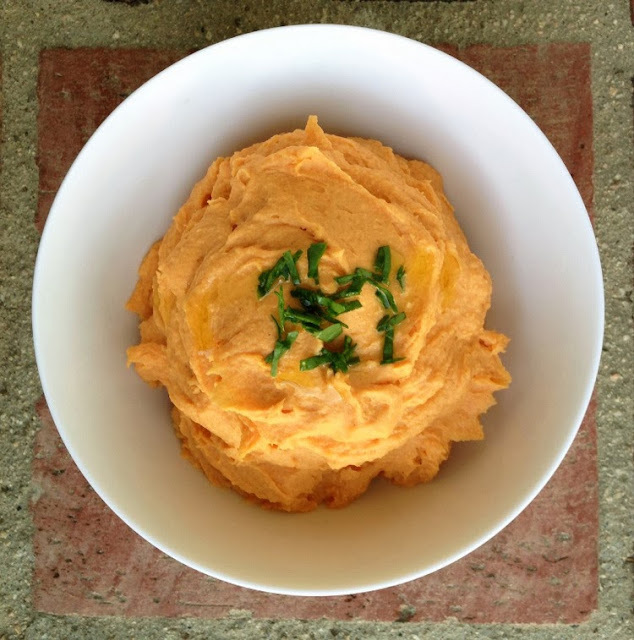 Erin Zircher prepared such a delicious butternut squash hummus, we couldn't wait to get our aprons on and our hands in the kitchen! Sweet potatoes are a packed with Vitamin A & C, Potassium and Calcium. This recipe is an easy way to sneak more vitamins into your diet in a fun and easy way! Once the potato is cooked and cooled, scoop it out of the skin and toss in your food processor. Add all other ingredients except the water. Blend until smooth. Slowly add in the 1/4 cup of water until you've reached your desired consistency. with veggies, crackers, pretzels or bread. It's that time of year... the Pumpkin Spiced Latte is back, Halloween has passed and Thanksgiving is right around the corner. 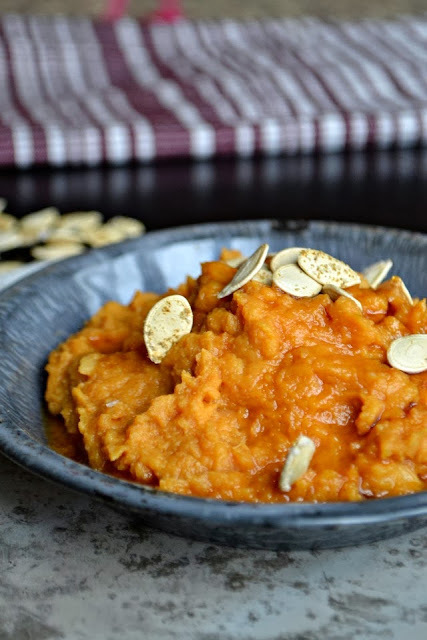 Here's a recipe we found that is healthy and keeping with the pumpkin season. This recipe came from Bakeaholic Mama. Ready? This one is SO easy! Toss everything into your food processor and blend, blend, blend until smooth! Top with roasted pumpkin seeds and enjoy with pretzels, naan, or your favorite crackers. This recipe came from zenbelly. Now that you've got all your ingredients together... you're ready to roll! Slice your squash in half and scoop out the seeds. Sprinkle with olive oil, salt and smoked paprika and arrange on a baking sheet. Roast for 45 minutes - 1 hour, until very soft. Once cool enough to handle, scoop out the squash into a blender or food processor. Add lemon juice, tahini and chipotle or paprika. Blend until smooth. Drizzle in the olive oil a little bit at a time, and continue to blend until smooth. Taste test - feel free to add more chipotle, paprika, cayenne, lemon juice or salt and season to taste. Serve with veggies or pretzels or crackers of your choice! We're in the kitchen now, taste testing away! Can't wait to share more recipes on our new Tasty Tuesday weekly feature.